I like this Patrick Stump's song. It keeps popping in my mind and play list from time to time. 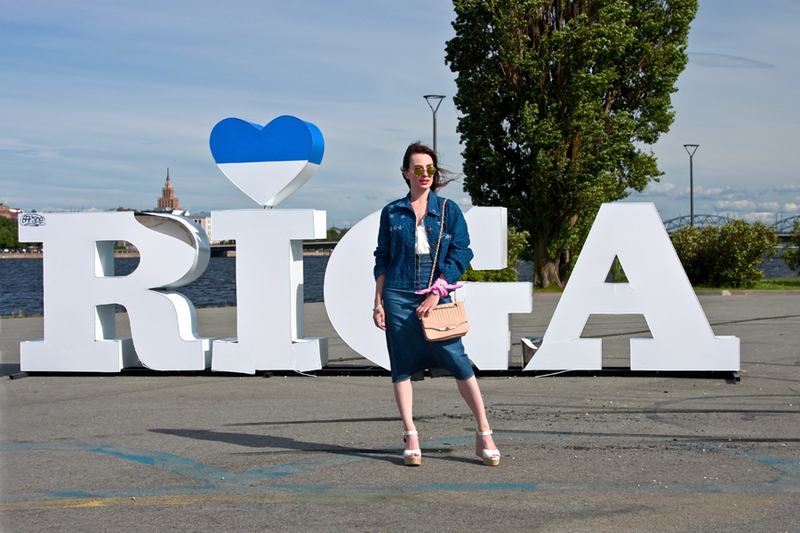 Especially when I reach the left bank of Daugava river where the most stunning view over Riga's legends, I mean the castle and churches and other notable architectural pieces of the Old Town, can be found. I love this view. And I do... love this little Eastern European city. A city that brought me to the point I am right now. Now who would have thought back in 2 years time that everything is going to turn this very way? The way where Riga is my point and I am still running Practical Queen AP, but on nearly 24/7 basis... Wasn't me really as I had other plans in my mind after stepping out of a fashion school and trying to figure out which direction should I go. Well, if there is one thing Riga city is good at, then it's all about knowing one's buried ideas, or name it abandoned or unfulfilled. Wouldn't use word 'dreams' though simply because writing was never really a dream of mine (rather a skill probably). And by writing I guess I mean fashion journalism as it was one of my initial Bachelor degree options that I somehow tossed away straightaway. Still I always thought how cool it is to write about fashion. And who would have thought I will apply my fashion business knowledge in this very way? Not me. Back then. But this city did lead me to one of my biggest passions, so that's what it is, - writing. As it happens with skills you practise on day to day basis it gets easier to fulfill. Same happens with my writing process. I find it easier to pick a certain topic for a certain story and talk about it. I find it easier to structure and stick to the point now. And it scares me. I believe when something gets easier it just takes you away from point of growth. Therefore, I decided to go for an intentional writing-and-blogging break. In other words, I think of rewarding myself with a little, just 1-week long, summer holiday. I feel like I need time for deep refreshment, some quality time with good books and interesting movies, and, of course, adventure hunting. Still no one says 'no' to writing as it's to much of a challenge for me not to spread a line or two on paper. I already had this experience back in early May of not writing a single paragraph, am not even using word 'story', for a week or so and it literally drove me crazy. So it looks like I'm simply going to invest some additional time into this 'putting letters into words' process. Let's see how good am I at holidays kind of thing... Speaking of today's outfit combination you definitely noticed it's all about denim on denim approach. An approach I personally am always up for. Adding wedge height and bandana scarf? Well, once you do 90's vibes you do it big, right?